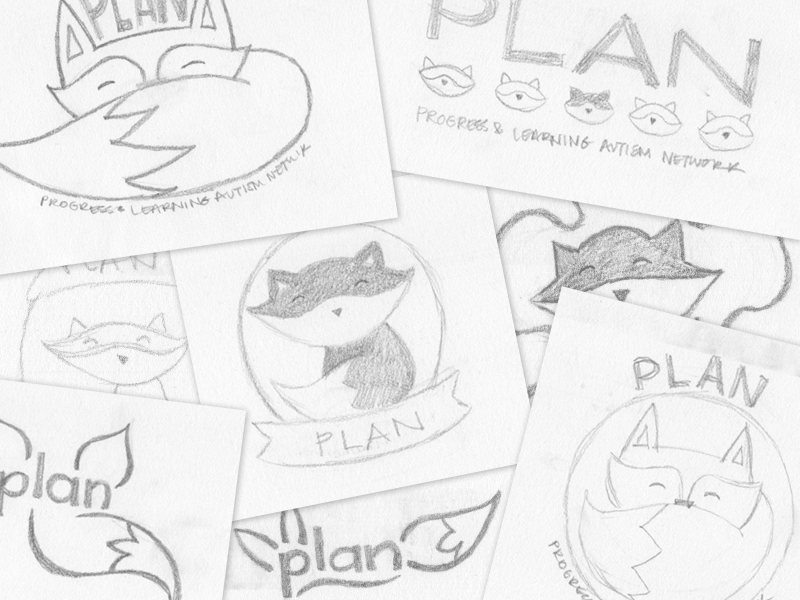 Miranda Claney, from PLAN, approached me to design a fox logo (after her maiden name, “Fox”) for her ABA Psychology practice where she works exclusively with autistic children. 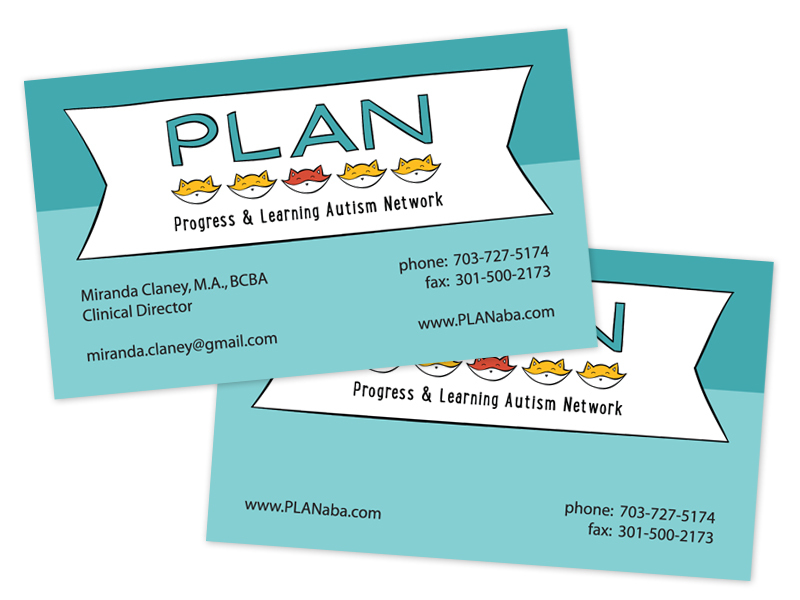 She wanted a logo that would look professional but also have some whimsy and playfulness in the design. Rather than the “big-business” look of many logos, Miranda wanted something to reflect her firm’s small, personal, individualized approach. I came up with many concepts, and Miranda actually chose three that she loved – so I worked them all together, using the fox she picked, and using him in the two other layouts she liked, to keep it consistent. 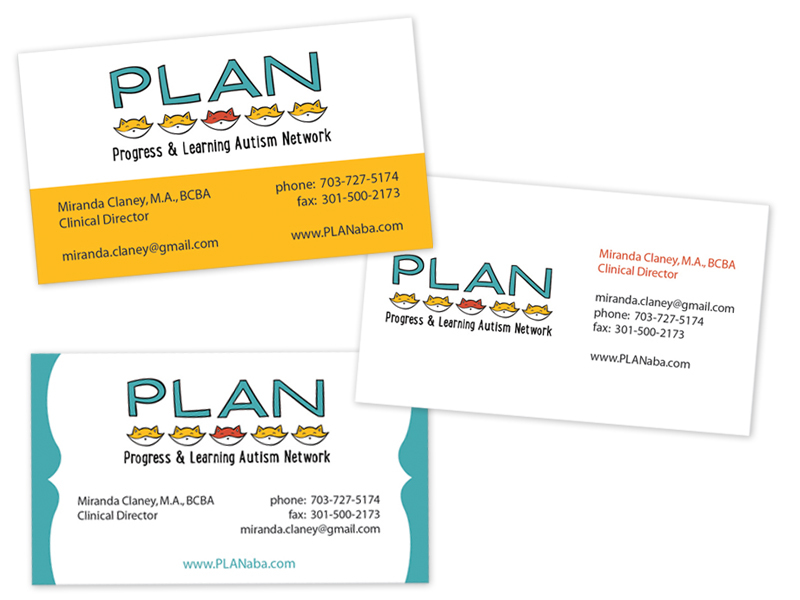 I also designed her business cards (one with her info, and one generic). Below I’ve included the final designs, plus the concepts, because it’s always fun to see designs from concept to completion!